Our smallest kit provides enough product to clean and then brighten an average 25'x12' deck with rails and 3 steps (600-800 total sq.feet). For, a fence this package will clean and then brighten both sides of 50 feet of fence. 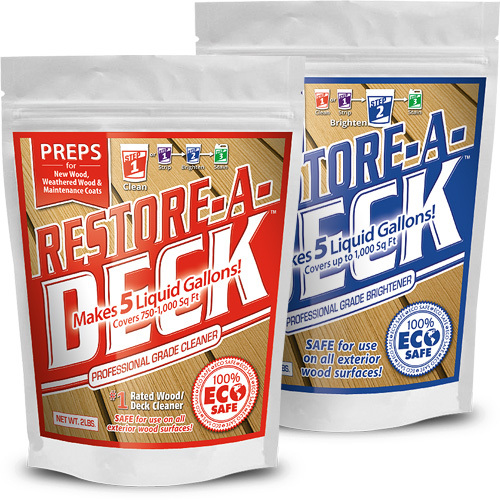 Our best selling prepping kit for restoring wood decks. 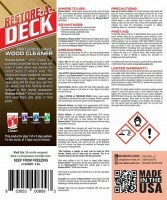 I would like to clean my PT deck so another coat of Armstrong & Clark semi transparent can be applied. 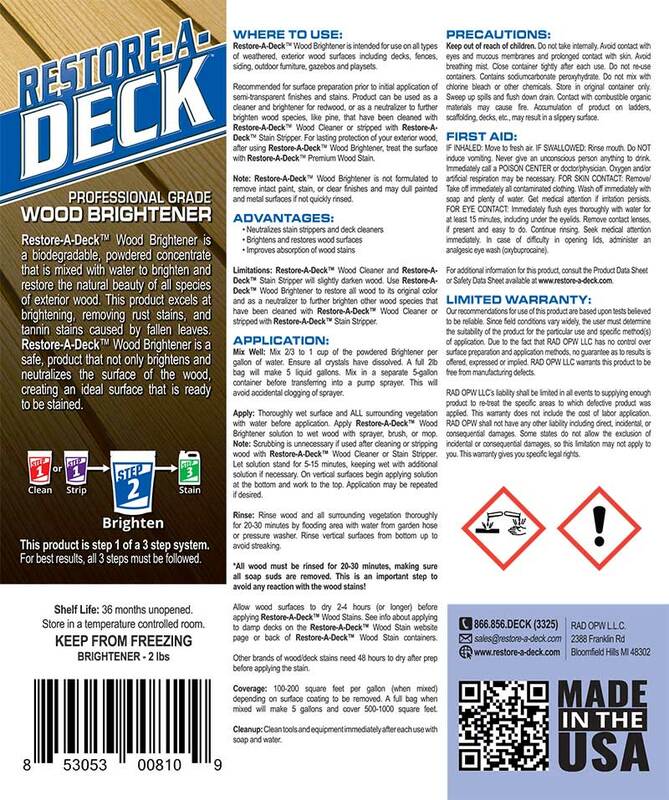 Do I need to use the wood brightener or just the cleaner? 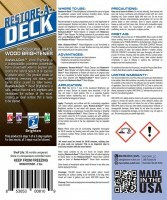 Does free shipping for RAD cleaner and brightener kit apply to Canada? Sorry but no free shipping to Canada. 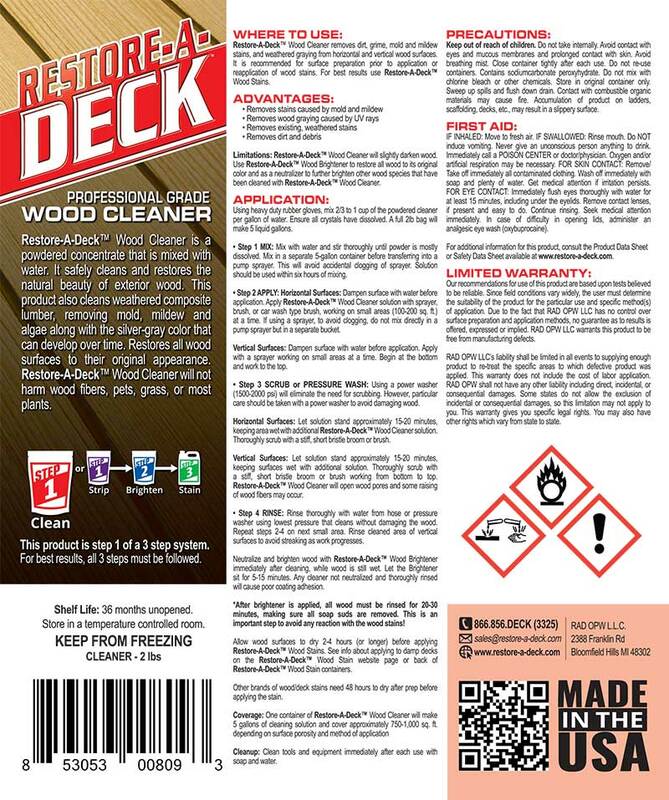 Using this with pressure washing will help to remove the gray oxidation from the wood. I am trying to restore my deck railings back to the natural wood look. I power washed them however they still have the gray coloring. 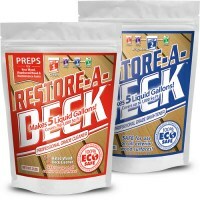 Will this product return the wood back to the natural color? Is this product safe to use around plants? Yes, apply right after while still wet.